Shortly after the state public health laboratory was relocated to UNMC under contract to the State of Nebraska, departmental researchers became more engaged in issues related to emerging infectious diseases. This included smallpox and anthrax as well as tularemia. Programs were developed to increase capability in diagnostics and therapeutics (see Diagnostics and Therapeutics) prior to the appearance of SARS, monkeypox and hemorrhagic fevers such as Sin hombre virus. Later, procedures were developed for identification of highly pathogenic viruses including avian influenza. Research also investigated new mechanisms antibiotic resistance. A statewide program began focusing on greater preparedness for emerging infectious diseases leading to the creation of a human biocontainment facility at UNMC and Nebraska Medicine. These teams were responsible for responding to the Ebola crisis in 2014 and 2015 including the treatment of infected individuals. Dr. Hinrichs and his colleagues have published a number of articles describing their experience with these challenges. Dr. Hinrichs' research is also listed under Diagnostics and Therapeutics. Marilynn A. Larson, M.Sc., Ph.D.
Dr. Larson’s research is focused on elucidating the molecular mechanisms that allow intracellular pathogens to evade the immune system and persist. These assessments include the use of Francisella tularensis as a model system, since considerable differences in virulence exist between the subpopulations in this species, including select agents, attenuated strains, and avirulent strains. This facultative intracellular bacterium is the etiologic agent of the zoonotic disease tularemia, in which there is no effective vaccine. The highly infective strains are among the most pathogenic bacteria known with the potential to be used as a bioweapon and therefore, are classified as Tier 1 select agents by the Centers of Disease Control and Prevention. Although the genome of the type A.I, A.lI, and B clades within this species share 98% average nucleotide identity, insertion sequence elements have contributed to numerous chromosomal rearrangements between these subpopulations. The resulting changes in gene expression from these translocations, as well as other polymorphisms are being examined using a systems biology approach. These evaluations include the study of host-pathogen interactions elicited during a human macrophage infection. Together these investigations will provide a better understanding of the multifactorial mechanisms utilized by the highly virulent F. tularensis A.I strains, which enhances pathogenicity, and contribute to the development of effective countermeasures against F. tularensis and other intracellular pathogens. Additional research projects include the development of next generation molecular diagnostics for select agent and clinical pathogen identification and characterization, the detection of stable biomarkers that are indicative of an infection or radiation exposure, and the discovery of therapeutics to prevent or treat infections. Dr. Larson's research is also listed under High Risk Organisms and Host-pathogen Interactions. The great majority of emerging infectious diseases in humans occurs after a zoonotic virus switches hosts, jumping from its natural reservoir. After that initial event, the fate of emergence depends on its ability to be transmitted within the new host, by human to human transmission. 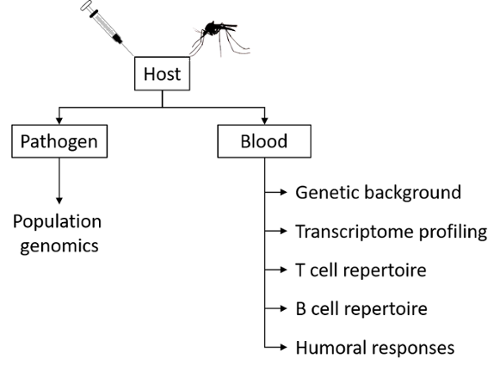 Three different outcomes are possible: (a) a “dead-end”, where the infection occurs with no onward transmission due to limited “fitness” of the virus to the new host; (b) Outbreaks, when transmission occurs with low efficiency generating a few rounds of successful transmission within the new host until it fades out; and (c) Epidemic, where human-to-human disease transmission efficiently sustains the pathogen in the new host population, resulting in chain of transmission that last for a prolonged period of time. The most common public health measure to stop the transmission of an infectious agent is the use of vaccines, which generate pathogen-specific immunity that reduces the number of susceptible individuals, limiting the number of successful human-to-human jumps. Unfortunately, there are no current Food and Drug Administration (FDA)-approved vaccines for prevention of several highly pathogenic microbes. The development of an effective and long-lasting vaccine has become a worldwide priority for these pathogen, especially after the devastating 2013–2016 Ebola virus disease outbreak that affected Western Africa, and the current outbreak affecting the Democratic Republic of Congo. Dr. Sanchez-Lockhart’s research investigates the interactions of the pathogen and the host, with special interest in the immune response. Several tolls, called Immunomics, use high throughput and next-generation sequencing (HTS & NGS) to investigate processes occurring at the host during infection, and the pathogen response to those processes. These tolls are aimed to address the host transcriptome (RNAseq), genetic background (MHC profiling), cellular (T cell receptor repertoire) and humoral (B cell repertoire and epitope mapping) responses. Immunomics is an agnostic strategy that can be equally used in infected or vaccinated individuals (humans), experimentally infected or vaccinated animals in the laboratory (non-human primates, guinea pigs, ferrets and mice), and reservoir mammals in the wild (rodents or bats). Viral population is also investigated using population genomics techniques. The ultimately goals is to understand pathogenesis and mechanism of immune protection (correlates of immunity and protection) the better design and advance development of vaccines to highly pathogenic microbes. Our main focus of study are RNA viruses including Ebola (EBOV), Marburg (MARV), Rift Valley fever (RVFV), Junin (JUNV), Venezuelan equine encephalitis (VEEV) and chikungunya (CHIKV) viruses that are highly infectious, spread rapidly and cause high to moderate mortality during outbreaks in humans or animals. They fall under NIAID Emerging infectious pathogens and are classified as category A or B priority pathogens, due to their high risk to public health and national security. Currently there are no approved drugs or vaccines available to treat or prevent infection from these viruses. Understanding the molecular mechanisms underlying infections is required for the development of therapeutics. Our goal is to gain deeper understanding of the molecular mechanisms regulating viral infections. Our long term goal is to define the interactions at the viral-host interface at the amino acid level, so that it can be targeted therapeutically. We use both a focused and a random approach to initially identify cellular targets that are critical for viral infection. In the focused approach, we identify key cellular processes or signaling pathways that virus regulate in order to replicate. 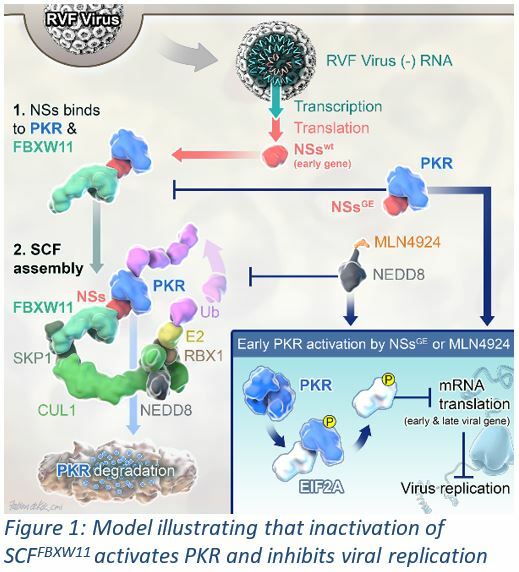 For example, NSs protein of RVFV disrupts an anti-viral PKR activation pathway in host cells and it does so by degrading PKR. The significance of this degradation as well as the mechanism was unknown. We found that NSs degradation of PKR was essential for viral replication. We further showed that NSs recruited PKR to an SCFFBXW11 (SKP1-CUL1-FBXW11) E3 ligase complex which promoted PKR proteasome degradation. Lastly, a linear 4 amino acid motif in the NSs protein regulated the assembly of E3 ligase and PKR degradation (Fig 1). A small molecule was further identified that prevented viral replication by blocking E3 activity and restoring PKR activity. Overall, it was possible to block viral replication during early stages viral infection by understanding the underlying molecular mechanism. Alternatively, we also utilize unbiased chemical and genetic screens to identify targets that are critical for viral infection. To this end we developed and applied high-content image based high throughput screening assays in a 384 well plate format to identify small molecules or host factors that regulate viral infections. Libraries of siRNAs or small molecule chemical libraries were screened and the “hits” validated. In some cases the chemical targets were identified. In addition, we also used the CRISPR-based gRNA libraries to identify host targets that are essential for viral replication and validated these “hits” as well. We are now exploring the molecular mechanisms to determine the interactions that can be therapeutically targeted without causing a disruption to the host cell function at the cellular and organismal level. 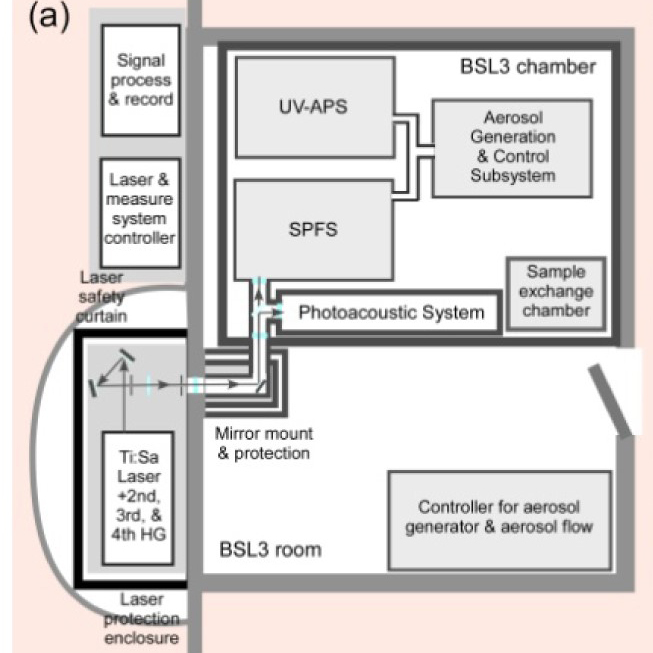 Biodetection and Measurement: Dr. Santarpia’s laboratory works to develop unmanned sensor platforms for the detection of biological weapons, the development of sensor systems for the protection of military installations and the development of new aerosol detection technology. 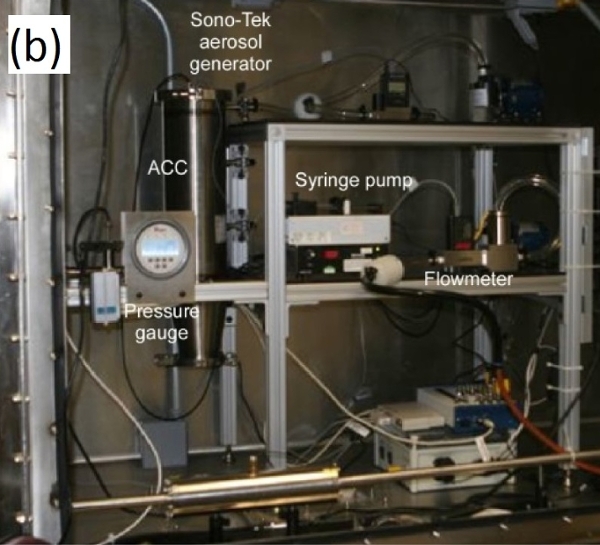 To that end, he also studies the role of atmospheric aging processes on microbial aerosols (airborne particles that contain microbial organisms) and their properties, especially those affecting human health, detection of the organism, and the environment. Novel Antibacterials: Dr. Santarpia’s laboratory works to identify and characterize bacteriophages for select bacterial agents and bacteria of public health concern, develops new applications of these bacteriophages for use in decontamination applications and possible future therapeutic use. Medical Application: Dr. Santarpia’s laboratory has developed novel methods to study bioaerosol hazards in medical environments, including the Containerized Biological Containment System (CBCS) for the Department of State, the Nebraska Biocontainment Unit, the U.S. Air Force Transportation Isolation System (TIS) and studies for private companies to determine potential aerosol hazards of medical devices in operating rooms.